Our video playlist (above) features a playlist of official Erasure videos from the 1980s. Andy Bell and Vince Clarke released their first single in September 1985 with Who Needs Love Like That (original single cover is on the left) which reached #5 in the UK. Featuring on the flop debut album Wonderland, the follow-up single Heavenly Action was even more of a disaster, reaching only #100 in the UK singles chart and the third single Oh L'amour (which, ironically became a big hit for Dollar) barely made a dent in the charts, peaking at #85. 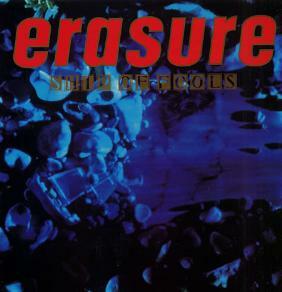 However, the breakthrough Erasure deserved came in 1986 with the release of Sometimes. This became an International hit reaching #1 in South Africa and #2 in the UK. The song featured on the second hit album The Circus (released in March 1987) and the 80's synth-pop duo went on to achieve twenty-four consecutive Top 20 hits in the UK between 1986 and 1997. 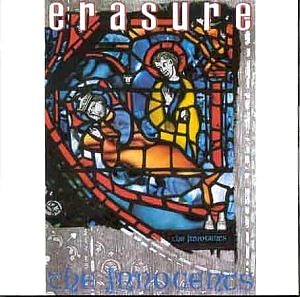 Released on 18th April 1988, Erasure's third studio album, The Innocents, topped the UK album charts achieving 2x Platinum. An Anniversary edition was released in October 2009. 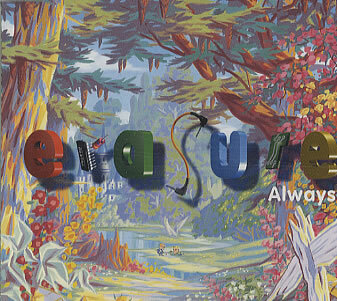 Like the previous album, Erasure's fourth studio album topped the UK album charts, achieving 2 x Platinum. Released on 16th October 1989, the album spawned four hits singles; Drama!, You Surround Me, Blue Savannah and Star. Many thought that Bell and Clarke had reached their peak with The Innocents, and that they couldn't possibly release an even better album. However, Wild! was a masterpiece, featuring a diverese array of very memorable tunes. Despite, mixed reviews by critics at the time, many have since realised that this is possibly the boys finest work. Released in September 1987, This was the fourth and last single to be lifted from The Circus album and reached #6 in the British charts. 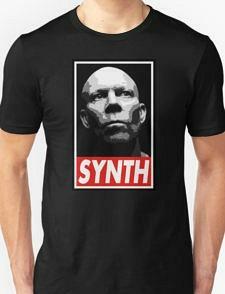 The moody, downtempo song was a welcome break from the previous six synth pop singles, and was a shortened and remixed version of the album track. I particularly like the accordian in this song which relates to the big top theme. 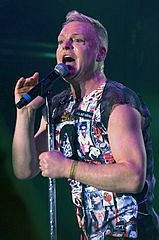 Ship Of Fools was the first single to be lifted from Erasure's thrid studio album The Innocents. Released in February 1988, this was the duo's first single to feature Stephen Hague as a producer (he replaced Flood) and reached #6 in the UK singles chart. 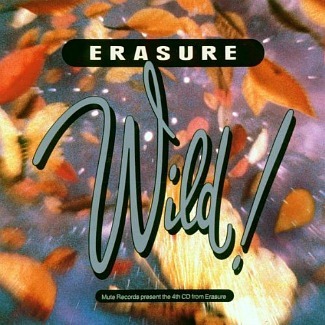 Released on February 26th 1990, and lifted from the synthpop duo's fourth album, Wild!, this single went on to reach #3 in the UK. The legendary Shep Pettibone produced a popular Out Of The Blue Mix. When I say popular, it was played a lot in the clubs but was never actually officially released. Promo versions on both 12 inch and CD are very rare and valuable. The third and final single from the album Wild! reached #11 in the UK. The lyrics seem to refer to the Star Wars project (set-up by Ronald Reagan), and this catchy tune cleverly combines dance music with acoustic guitar. It's a pretty depressing subject matter being sung in a what feels like a joyful, upbeat tune - now that's pretty unique! "The city looks pretty in pink - Armageddon is here!" 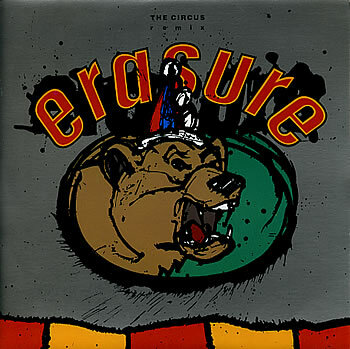 Released on 11th April 1994 as the lead single from the duo's sixth studio album, I Say I Say I Say, Always gave Erasure their thiird U.S. hit single in the US, peaking at #20. Here in the UK the single reached #4. 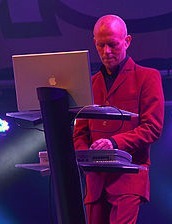 The synthpop ballad was written by Andy Bell and Vince Clarke.